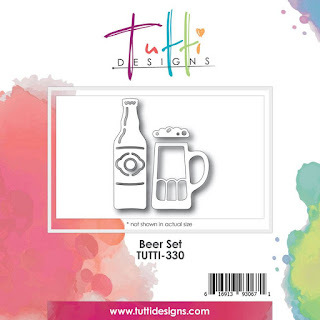 Donna Phelan here with my very first post for Tutti Designs! Needless to say, I am super excited to be here with all of these wildly talented ladies. Such an honor! 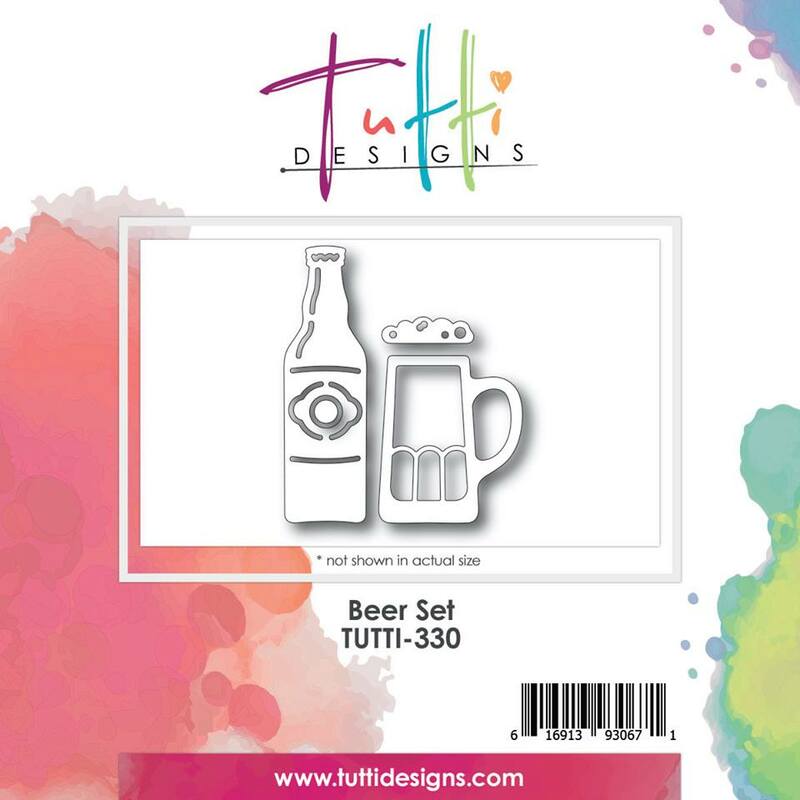 I used the awesome Tutti Designs die, Beer Set on my card in celebration! This particular die is from the May Release where you can find so many awesome masculine dies to celebrate all the men in your life! Here you can see the dimension of the chipboard and card stock die cuts. I love it when these fantastic dies come to life! Here are our Quick Links to help you out! Each Wednesday I'll be back to share some new and creative card ideas with you all. WELCOME to the team Donna! OMG what a cool creation! Love the dimension you've achieved and the entire design is just SO manly ... awesome inspiration ... thanks so much!! Love your card and congrats on DT!!! Congrats on adding another DT cap to your creative head! You will be wonderful. Love this card in every way. It is so masculine and the dies cut in chipboard are the best. They really stand out and no need to cut them three times. An idea that I must remember.